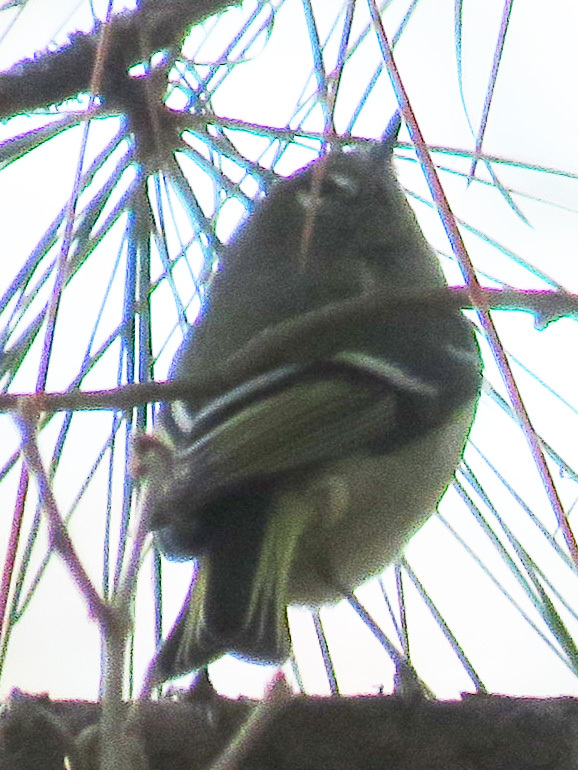 As much trouble as I have identifying birds using an array of binoculars, guidebooks, apps, and websites, I am particularly awed by the people who first explored North America and identified its birds for science, with no access to such tools. Traveling through unfamiliar country on foot, horseback, or boat is an immense achievement in itself; being able to notice and study its birds at the same time seems incredible to me. 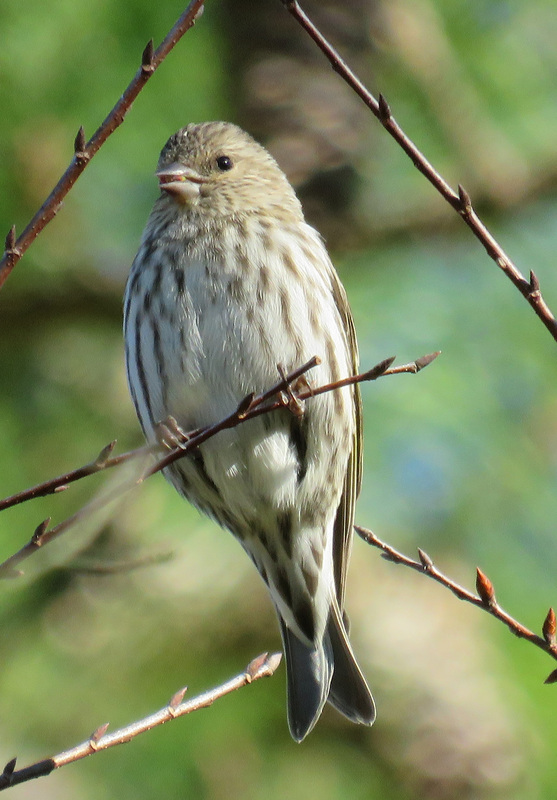 Pine Siskin, another bird I would never have identified correctly without recourse to a whole lot of field guides. I have just read Of a Feather: A Brief History of American Birding by Scott Weidensaul. Starting with the oral traditions of the Native Americans, and coming up to present-day experts, Weidensaul tells us what we knew about birds in America, when we knew it, and who pointed it out to us. In this book, there are dozens of other ornithologists I never heard of before, which could be boring if written about in a listy way, but Weidensaul has a gift for portraying them and their contributions colorfully, making each one stand out as a memorable individual. Here is a little about one of them, Arthur Cleveland Bent. Bent was a successful business man in his 40s, and in 1910 he agreed to take up a series that the Smithsonian Institution was funding, after its original author died. There were two books published in an expected series of six, Life Histories of North American Birds. Bent spent the next forty-four years putting together nineteen more volumes, and two more were published after his death. It was a monumental undertaking, not only in terms of the sheer mass of information, but how he obtained it. Bent combed the scientific literature, of course, quoting experts… and he also included much of his own scholarship…But he also became the clucking, chiding mother hen to a network of more than eight hundred correspondents — many of them highly skilled amateur ornithologists like himself– scattered from the Arctic to the tropics, from the halls of science to the most remote outposts imaginable. The observations of a clerk at a Hudson’s Bay Co. fur trading post in northern Canada carried as much weight as those of the most eminent professor. …Comprising 9,500 pages of text, the Life Histories were at once enormously informative and immensely readable, and they remain incredibly relevant today; no other single resource contains as much sheer information on the continent’s birds, and Bent’s series is still one of the most-cited works of ornithological literature. I have two volumes of this series that I picked up in a used book store — now that I know more about their writing, I can’t wait to read them! Of a Feather is not just about individual scientists though. It also covers the development of optics for birders, publicity campaigns to stop the use of dead birds and feathers in women’s hats, Christmas Bird Counts, and the growth of those beloved field guides. I loved reading how Roger Tory Peterson, David Allen Sibley, and Kenn Kaufman got their starts. One of the things I am grateful for in birding is that common names have been standardized, but one section of the book I really enjoyed was about common names that have fallen from use. Weidensaul also talks about birds that Audubon and Wilson included in their books, which have never been seen again — possibly they were hybrids. But the names they assigned were memorable — I really wish we had “carbonated swamp-warblers” with us today. This was a wide-ranging and readable book that gave me a greater appreciation for all the people who have made birdwatching more accessible to ordinary people like me. *I put that last paragraph out of order. I’m always fascinated with stories of these amateurs who followed a passion and changed history or science. It seems to have happened a lot in archaeology, too. And, I admit, I like the old, colloquial birds names very much! That’s okay, just happy to see you when you can get around. I know you are a very busy person! I enjoy accompanying you virtually on your walks! I just started this blog to talk more about the nature I see almost every day, and I still have the other one for textiles.